Chorizo hasn't turned out to be the savior for Chipotle. The company may not be out of the E. coli woods just yet. The FDA gave Chipotle the all-clear over last year's outbreak, but the burrito chain is still struggling to convince Wall Street that its financials have returned to full health. 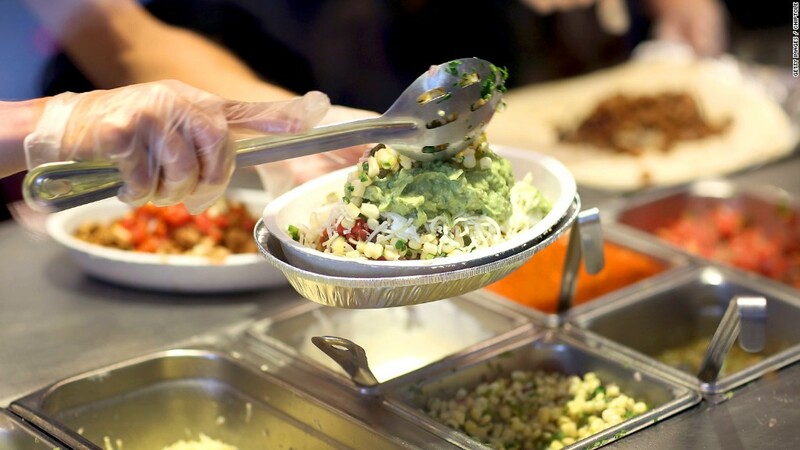 Shares of Chipotle (CMG) tumbled more than 6% Tuesday morning after founder, chairman and co-CEO Steve Ells said at an investment conference hosted by Barclays that the company was nervous about its guidance for 2017. Chipotle's stock is down nearly 25% this year. The company has lost half of its value since 60 customers in 14 states became ill after eating at Chipotle restaurants. Sales plummeted following the outbreak and have yet to recover. In its most recent quarter, Chipotle said same-store sales, which measure the health of restaurants open at least a year, plunged 21.9% from a year earlier. But Chipotle said in October when it reported its third-quarter results that it was expecting same-store sales to rise in the high single digits in 2017. It is clearly a major problem for Chipotle if this turnaround is in jeopardy. The company faces tough competition from rivals in the so-called fast casual restaurant business, from the likes of Panera (PNRA) as well as Tex-Mex rival Qboba, which is owned by Jack in the Box (JACK), and privately held Moe's Southwest Grill. McDonald's (MCD), which used to own Chipotle, has turned its fortunes around over the past year and is also a formidable challenger. Pizza kings Domino's (DPZ) and Papa John's (PZZA) have been thriving, too, while Chipotle has stumbled. Making matters worse, Chipotle is also facing major labor unrest. Nearly 10,000 workers are suing the company over allegations of unpaid wages. Activist shareholder Bill Ackman has targeted Chipotle as well.